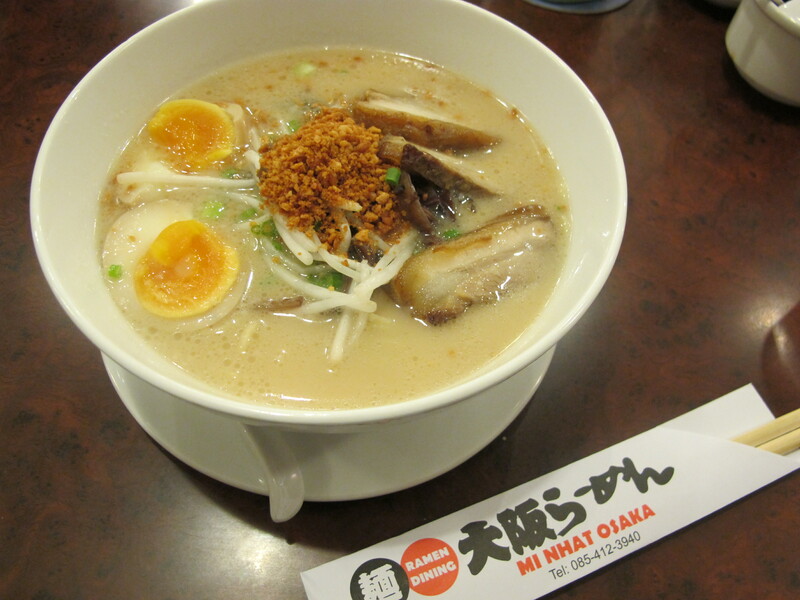 Food Trip: Osaka Ramen | Hello Saigon! In Ho Chi Minh City, particularly in Phu My Hung, there is a quick turnover of businesses. I’ve seen it happen quite a lot when after 4 to 6 months after opening, a business will close and fold up. Such is the case of the restaurant Betty’s Family where Osaka Ramen now stand. Osaka Ramen is a Japanese noodle house sitting next to one of my favorite Japanese restaurant, Oishii Sushi. I think the trouble with Betty’s Family is poor branding. Tell me, what do you think they serve with such a name for a restaurant? Keep guessing coz I don’t have any idea. I passed by it numerous of times but never cared to check what they offered because of the vague name. 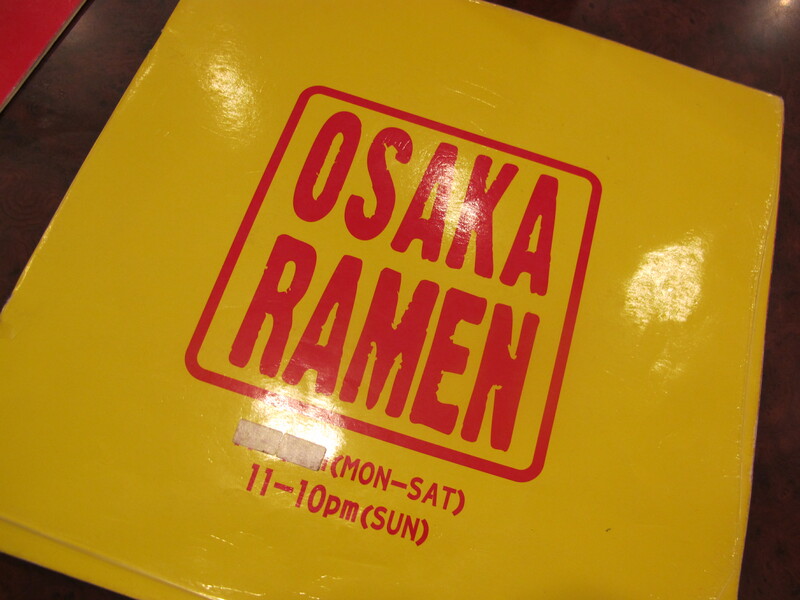 Osaka Ramen decided to keep it simple to stop people from guessing and just get them to eat their food. We ordered Ramen of course! Mine was the Ramen with Egg and Garlic Chip which took me back to my high school days when I used to stop by Katipunan Road corner Aurora Boulevard to eat chicken mami by a carinderia. Ang sarap kaya! 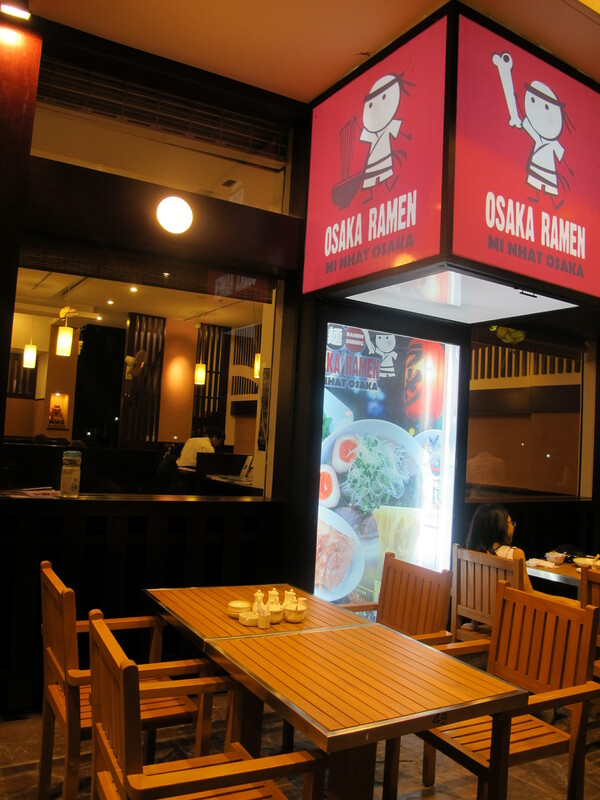 Visit Osaka Ramen at Grandview D, Phu My Hung. 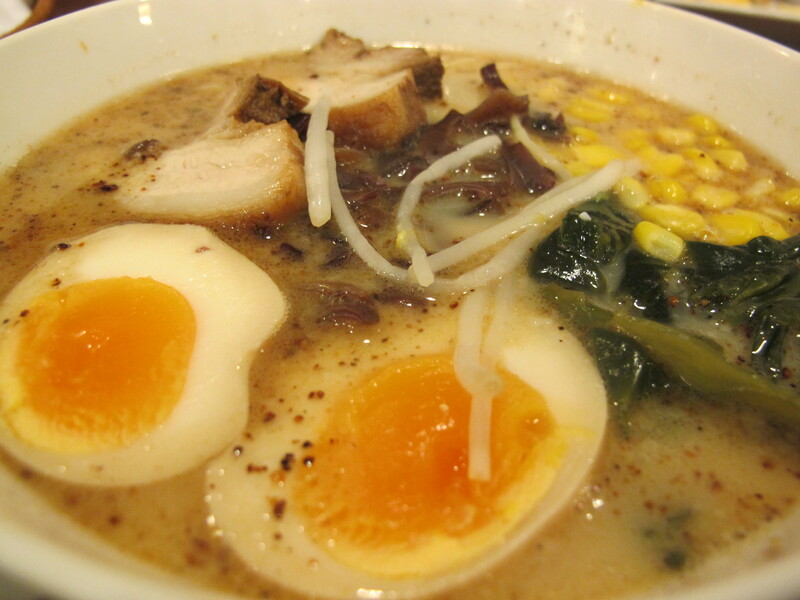 This entry was posted in Gastronomic Delights and tagged Osaka Ramen, Phu My Hung. Bookmark the permalink. I didn’t know they opened a location in PMH! They are also on Thai Van Lung, D1. They are known for good and not overpriced ramen, Osaka style. Yup I’ve seen the one along Thai Van Lung! Happy there’s one so near my office! I lived in Osaka, and I found it fairly true to the style. Order the gyoza too of course! Ah yes we did order the gyoza too! But was already too full from the ramen! I tried Osaka Ramen after I read your blog and loved it! 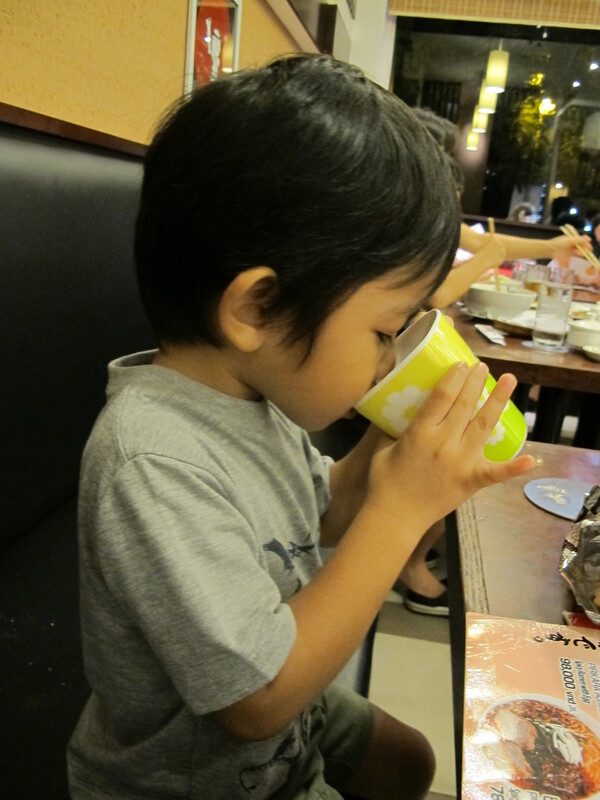 I think we went there thrice already this month. 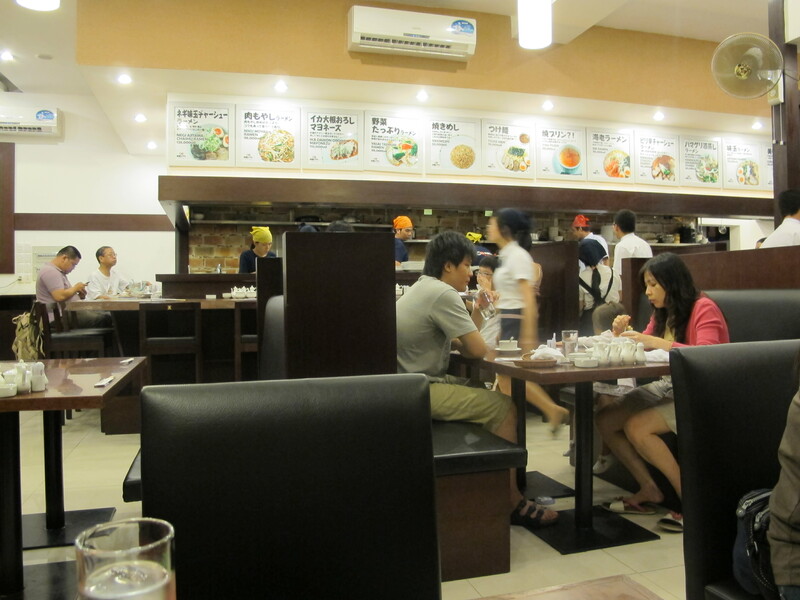 Their set lunches are great and just cost around 100,000 VND (ramen + side dish/es + drink). I also like the fact that they serve the set lunches from 11am – 3pm. 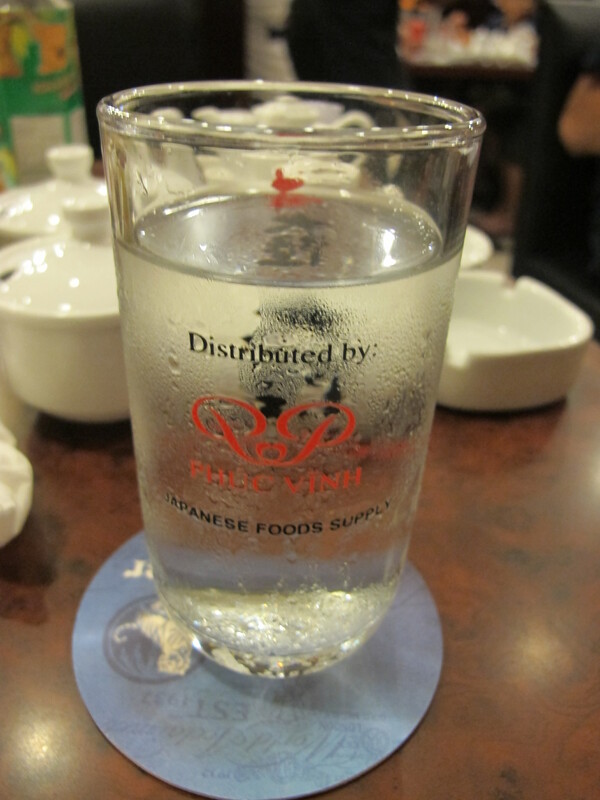 I haven’t gone to their Phu My Hung branch yet as it is too far away from where I live. 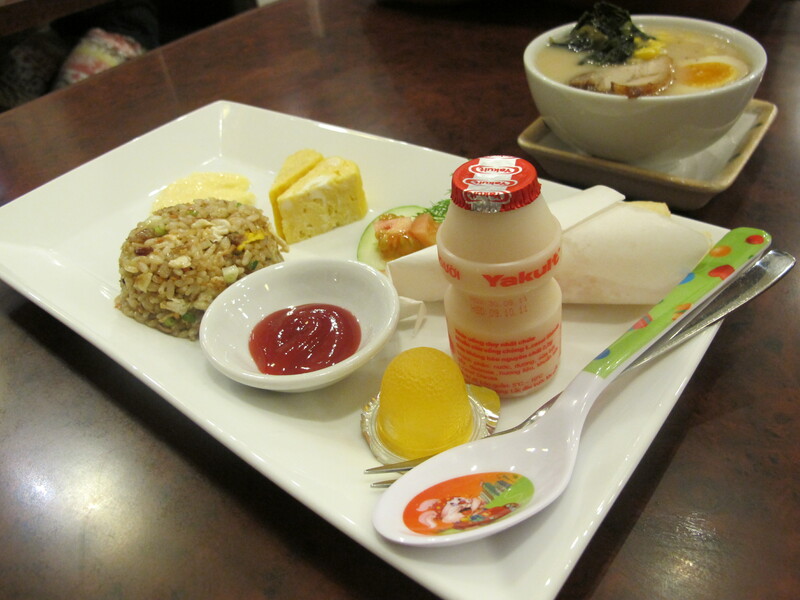 I go to their branch at 18 Thai Van Lung. 🙂 And oh, they give a Chupa Chups lolly to the kids too! Oh yes Sam loved the free lolly after dining! I’ve seen the one along Thai Van Lung but haven’t ate there. But it really is good value for your money! 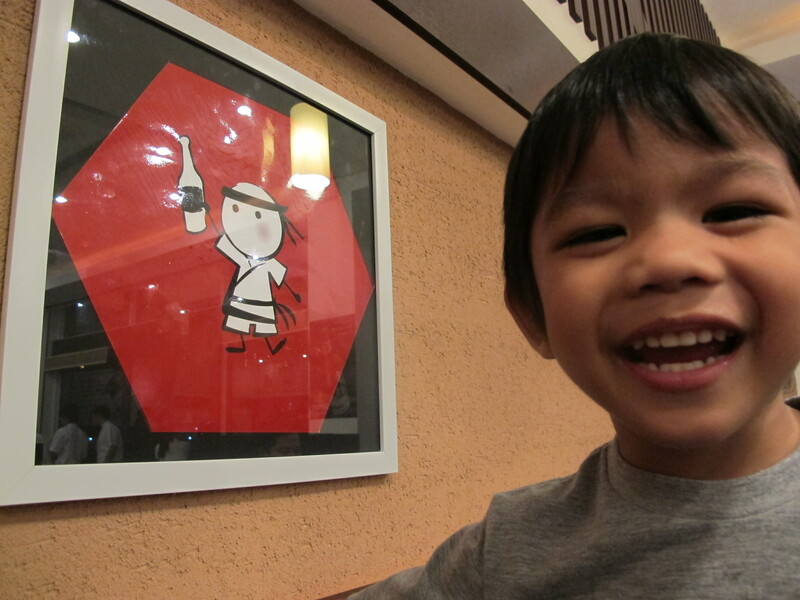 Pingback: Food Trip: Akatonbo | Hello Saigon! accountant,she is theip.we supposed to returned 50000vnd,just returned to me 100000vnd.i knew it when i took off the taxi.in my country this is never happen.how can japanese restaurant employee like that?terrible.